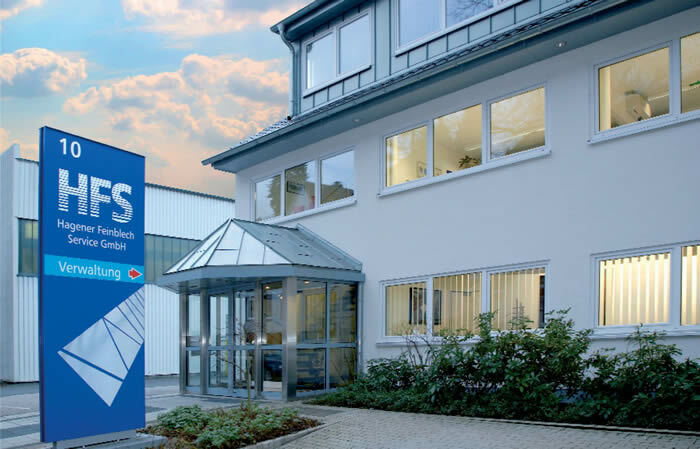 With its modern machinery and modern office space, the HFS plant in Hagen-Haspe has developed into a high-performance and innovative steel service centre which represents an investment in the future. The central location within Germany, its large storage capacity as well as its logistics partnership ensures its customers quick, flexible and on-time deliveries. Detailed directions to our offices can be found by clicking on the red marker in the map above. In the summer of 2012 HFS opened its doors to its second production plant in Hagen-Hohenlimburg, directly next to the A46. After an 8 month construction project, the first production unit with its innovative slitting-line went into production in July 2012.